The Tower of London is a must-see attraction that will take at least several hours to visit. This isn't just a single tower! Get ready for acres of towers, ramparts, Queen's house buildings, armories, Crown Jewels displays, and more. 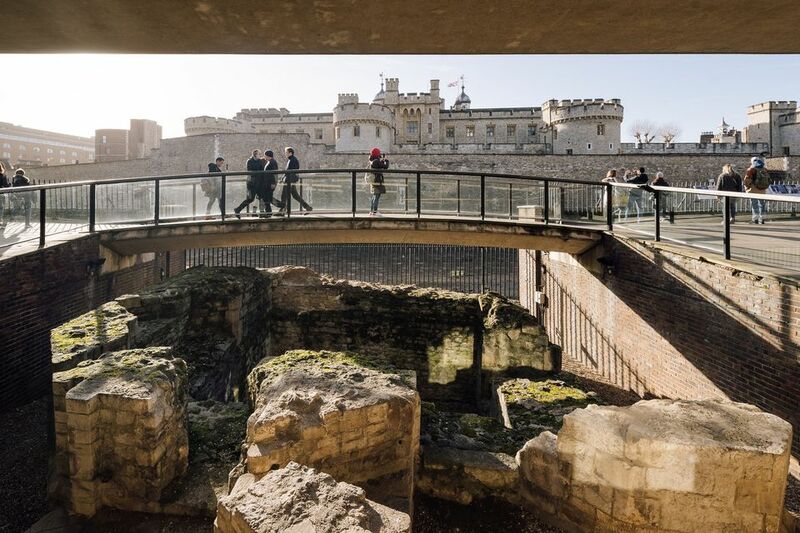 Visit the Tower of London site, for the latest info about visiting, and for helpful tips like Top Ten Things to See. Tickets can be purchased online at the Tower of London site. The Tower of London is easily reached by the London Underground and is a short walk from the Tower Hill station on the Circle/District lines. Check at the Welcome Center for brochures for visitors with kids, such as "family trails" with quizzes and activities, facts and illustrations designed for family visits. Allow two to three hours for a visit. Better still, allow extra time to take a Yeoman Warder's tour (Beefeater's tour.) These hour-long tours by the Tower's special guards are usually offered every half-hour during the day. Recorded audio tours are available, as are Tower Guide Books (at several shops). Itinerary suggestion: After your visit to the Tower of London, step onto one of the tour boats that are an excellent way to view the historic buildings on the banks of the Thames. You can disembark near the Houses of Parliament and London Eye. Itinerary suggestion: the "Ceremony of the Keys" -- the traditional lock-up of the Tower of London at night-- takes place nightly, at seven minutes to ten. The Chief Warder emerges from the Byward Tower in colorful dress, carrying a lantern and the Queen's Keys, for a brief ceremony that's been much the same for 700 years. Have You Visited the Tower Bridge High Walkways?